On February 19, 2019, I went to a Rice Alumni event at the Federal Reserve Bank in Dallas. The Dallas Fed is one of twelve Federal Reserve Banks in the United States. The CEO’s of the Fed banks meet every six weeks or so to set national monetary policy. Robert Kaplan, the CEO of the Dallas Fed was speaking about the state of the economy. Peter Rodriguez, the Dean of the Jones School of Business at Rice University, was asking Dr. Kaplan questions. Late in the presentation, Rice Alumni and their guests asked questions. Business Pricing Power: In the current market, consumers have real-time access to prices of products. They have never had such comprehensive access before. Because of this, price competition is extremely stiff and businesses are not able to pass on cost increases to consumers. Dr. Kaplan specifically mentioned the recent steel and aluminum tariffs as costs that businesses are not able to pass on to consumers. The number of people in the labor force and productivity are the primary drivers of GDP growth. More people in the labor force yields higher GDP growth. Likewise, higher productivity yields higher GDP growth. Technology and education drive productivity increases. Education is a big problem for Texas because Texas lags the US in general. And, likewise, the US lags many countries in the developed world. (More on this below.) Texas’ growth looks positive for at least the short and medium term, however, because Texas is experiencing large population growth. This is dampening the education disadvantage that Texas has. Likewise, Texas’ population growth – which results in higher GDP – allows Texas to solve its education problem in the future easier than states with stagnant or declining populations. Dr. Kaplan specifically mentioned Kansas, where he is originally from, and Illinois.Dr. Kaplan mentioned immigration as a component of population growth in Texas. But, he did not explore the subject. Technology helps people with post-secondary educations or specialized training in the trades. It hurts those with a high school (or less) education. This is the biggest driver of the growing divide between the wealthy and the poor. Dr. Kaplan mentioned STEM many times as the path to growth. Dr. Kaplan specifically mentioned Khan Academy and edX as potentially disruptive forces in the post-secondary education arena. He stated that education delivery needs to be significantly revamped. He believes this should be done with steps such as busting teachers’ unions, eliminating tenure for college professors, and financially separating teaching from research at the university level. The media concentrates on the U3 unemployment rate. However, the Fed primarily looks like the U6 unemployment rate which considers people who have given up looking for work and part-time workers who would prefer to be full-time. The U6 unemployment rate is about 8%. This paints a much less positive picture of the economy than the U3 rate that the media reports. The US owes $54 Trillion in unfunded entitlements such as social security, medicare, and retiree pensions. This is a ticking time bomb. It does not show up in the deficit or national debt numbers that we hear. 2018 saw GDP grow at a rate of 3%. That was largely due to the tax overhaul and increases in government spending. The effects of the tax overhaul are likely over for individuals. The effects of the tax overhaul for businesses may be longer lasting. But, that is not clear. The effects of increases in government spending last year are probably over. Therefore, GDP will likely grow at 2% or less in 2019. Dr. Kaplan believes that education spending will yield productivity increases (which will yield GDP increases). He specifically mentioned early childhood education and that 60% of children who enter 1st Grade behind will never catch up. He also believes that college prep should have more emphasis at the high school level. Shale oil/fracking: The petroleum yield from this kind of oil production is short-lived. That likely means that the US’ production levels will struggle to maintain their historic high levels and that the oil industry will profit from high oil prices in the future. During the question and answer session from Rice Alumni and their guests, one gentleman told Dr. Kaplan that there is either no correlation, or negative correlation, between spending on education and educational achievement levels. If you think about it, such an assertion is absurd because, if true, the best thing for society (including individuals) would be to spend absolutely nothing on literacy. Obviously, Dr. Kaplan disagreed. After the presentation, I spoke with Dr. Rodriguez, the Jones Business School Dean. I told Dr. Rodriguez that I was surprised by this question and was also surprised that Robert Kaplan did not point out that much of the spending labeled as “education” spending really goes for athletic programs which do not increase literacy. Dr. Rodriguez agreed and mentioned the huge high school stadium in Allen as a great example. I told Dr. Rodriguez that I would like to understand the research about the relative effect of employment growth and productivity on GDP. For example, immigration increases the number of workers in the workforce. But, immigrants come with various educational levels depending on their circumstances. So, more immigrants cause GDP to grow. And highly educated immigrants increase productively and that causes GDP to grow too. But, illiterate immigrants have the opposite effect on productivity – at least initially. That means that the positive effects of increased workers are dampened if those workers have lower than average productivity. Unfortunately, Dr. Rodriguez seemed to take this as a political question and brushed it aside. It was not meant to be. I am sure that the Fed has data on this question. I would love to see it. OpenWRT is an open source router firmware that can be installed on most consumer WiFi routers for increased security, functionality, and performance. You will be prompted for a password. Use the password that you set up for the OpenWRT web interface. This will copy the public key to the location expected by dropbear. This has to be done because ssh-keygen puts the key in the directory expected by openssh, not dropbear. This time, you should be able to get in without a password. You should get an error that says root@192.168.1.1: Permission denied (publickey). Unfortunately, OpenWRT makes it difficult to create anything but a root user. There are ways to do so, however. Google it. I tried generating RSA keys larger than 2048 bits. However, they did not seem to work with dropbear. When this is complete, the Pi should be running a remote desktop server. To access the Pi on Windows, choose “Remote Desktop Connection” from the start menu. 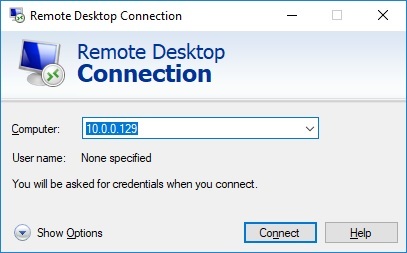 The remote desktop client will appear and ask you for the IP address of the Pi. My Pi is at 10.0.0.129. Congratulations! The Raspberry Pi’s desktop should appear. 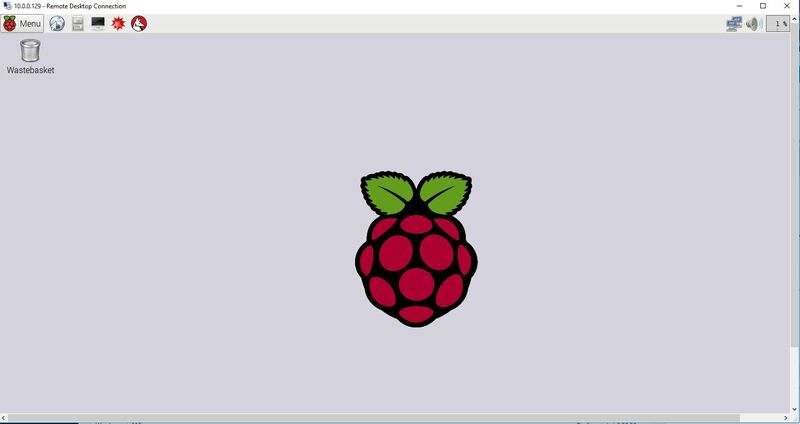 Now, you can access the Pi from anywhere on your network and there is no need to lug around a monitor, keyboard, mouse, cables, etc. I found this wonderful sounding add-on to Chrome this morning. It lets you select one or more Gmail emails to convert to PDF. Then, you can download the PDF or put it on Google Drive. I was quite excited and downloaded the add-on. When I installed it, I learned that I have to create a CloudHQ account and give CloudHQ permissions to have read-only access to my emails. Always read Terms and Conditions when installing anything on your computer. The more companies that have access to your information, the more likely you will become a victim to a data breach and identity theft. The terms Cost of Goods Sold (COGS), Cost of Sales, and Cost of Revenue are synonymous. They describe the direct costs of producing a good or service that is sold to customers. In this post, let’s just refer to this as COGS. Direct costs include direct labor and materials, and facility or plant overhead that is directly tied to producing the good or service. For example, the salary of a person assembling a television would be a direct cost. Extra electricity used to run a machine used only to produce the good or service would also be included. These types of costs will appear on the company’s quarterly (or annual) income statement for the period they were incurred. More specific examples of indirect SG&A costs include sales commissions, advertising and promotional materials, management compensation, compensation for support staff, rent, utilities, and office supplies. The general rule is that direct costs do not include general overhead or administrative expenses. These expenses are not part of the COGS calculation. Note that for a service business without a tangible, physical, product, COGS is a bit of a misnomer since there is not a “good.” That is why the term Cost of Sales is often used. But, the terms mean the same thing. Do you use the same password on multiple websites? If so, it is possible that hackers can download a list of email addresses and associated passwords with your information. Are you on a list like this? This is the reason that everyone should use strong passwords along with a password management program like Keepass. Keepass helps you keep track of passwords so that it is easier to use unique ones for each website. Under location history, click “View Timeline.” A map will appear with dots showing where you have been. Based on my map, it appears that the history may only include locations within the United States and Canada. And there are missing places. But, the accuracy of the information displayed is quite refined. For example, I can zoom into a location I visited on a business trip a few years ago and can tell the hotel I stayed at. I can tell when I arrived at the hotel for the evening and when I left for the airport the next morning. This location tracking is turned on by default on Android devices. It can be turned off in theory. But, it is entirely possible that Google collects and retains this information anyway. US Mobile Cell and Data Plans – Amazing prices if you know exactly what you need. Fund and Grow – This company specializes in business finance through business credit cards. Interesting idea. I cannot recommend them one way or the other. The US is on top. Growth is steady and consistent. Japan has blossomed and then dramatically crashed. China’s rise is amazing. Can it continue? It would be interesting to know what policies of these countries contribute the most to the end results. James Harper's Thoughts is proudly powered by WPDesigner & WordPress.